If your HVAC system is an unreliable energy hogger, it might be time for a replacement. Excellent Air Conditioning & Heating Services, Inc. offers both residential and commercial HVAC equipment from a wide range of manufacturers. We listen to your requirements and design a system to suit your specific needs. Enjoy lower energy bills and consistent heating and cooling with a new system installed by Excellent air. For Heating Repair Long Island offered 24/7, the experts at Excellent Air Conditioning & Heating Services have years of HVAC experience. Call 631-427-0677. 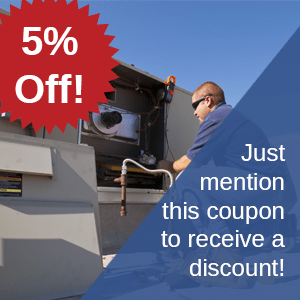 If your business's HVAC system keeps failing, it's time to call Excellent Air. Keeping your company up and running is important, and when your HVAC equipment breaks down, it impacts both employees and customers. No matter what the weather feels like outdoors, it can quickly get uncomfortable in your office building or retail store. Getting NYC HVAC repair makes sense, but it might not be an option if the problem is too severe. If it can't be fixed at all, or it can't be fixed in a price range that's worth it to you, it's time to get Excellent Air to replace the equipment quickly and efficient, with an in-writing guarantee and up-front pricing. We handle Long Island HVAC problems and Queens HVAC repair, too, so don't hesitate to give us a call to talk about your equipment replacement options. We're happy to help anyone in our service areas. We offer a wide variety of makes and models of equipment, so you can choose the brand you prefer and have it installed by Excellent Air. Price may be a factor for you when considering NYC HVAC, or you might like a particular brand for other reasons. We're happy to let our customers choose what they like and feel comfortable with, and we'll make recommendations with your budget in mind. We only install the brands we consider to be the best, and we stand by the systems we install in both commercial and residential settings. With more than 30 years of experience in NYC HVAC and an A+ rating from the BBB, our highly trained and qualified technicians are ready to replace your old system with a new one that you will love. We are family owned and operated, so you can rest assured that everyone we send to your business or home is a professional who is going to do the job right, the first time. Whether you're looking for a new Queens HVAC system or you have a Long Island HVAC system that needs replacement, we'll travel to where you are and talk with you about the replacement options you have for your system. We work with your needs and budget to make sure you're getting just what you need to keep your home or business comfortable for everyone throughout the year. When you replace equipment, it's a good idea to set up a seasonal maintenance agreement, too. That can keep any future repair bills low, by keeping your NYC HVAC system working at an optimal level. The better the maintenance, the less likely equipment will be to break down as it ages, so it can help give you peace of mind when it comes to keeping comfortable no matter what the weather is like outside. Get started on your equipment replacement today by contacting Excellent Air!